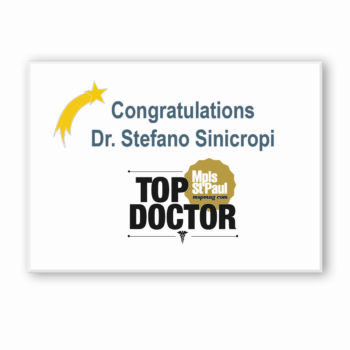 Roy Naslund | Dr. Stefano Sinicropi, M.D. I had weakness in my legs and pain in my back that I later found out was caused by Spinal Stenosis. I go progressively worse until I couldn’t get around at all without a walker. 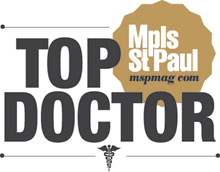 Initially I tried some physical therapy and a pain injection – neither of which worked. After that it was clear that surgery was the best way forward. I had a fall at my house, after which I immediately went to the hospital. 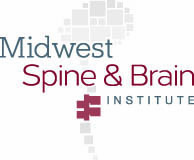 After they performed a few tests and found out what was wrong with my back, they recommended me to Midwest Spine & Brain Institute. Lumbar fusion on two vertebrae. Right after surgery, I expected a lot more pain than I had. After four weeks I’m pain free and I no longer need a walker to get around. Don’t postpone surgery if you need it.